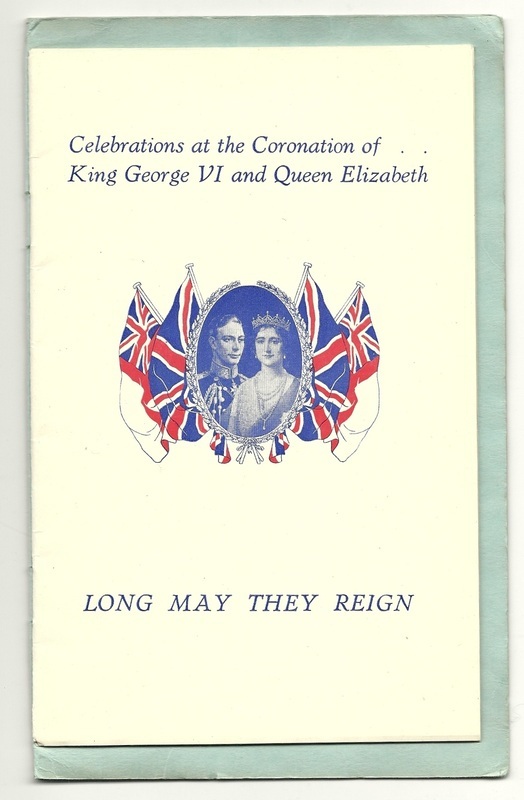 Within twelve months of the Jubilee of King George V came the abdication of the uncrowned King Edward VIII and the proclamation in favour of his brother George. 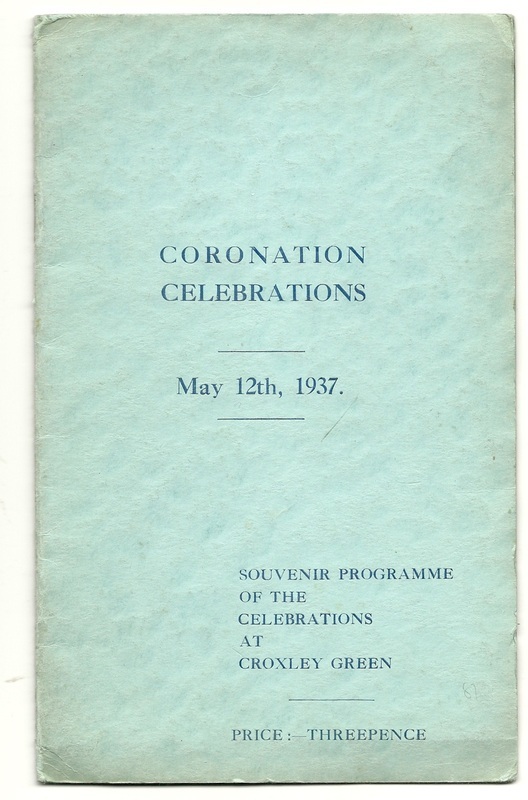 George’s coronation coronation took place on 12th May 1937, the date intended for Edward’s coronation. 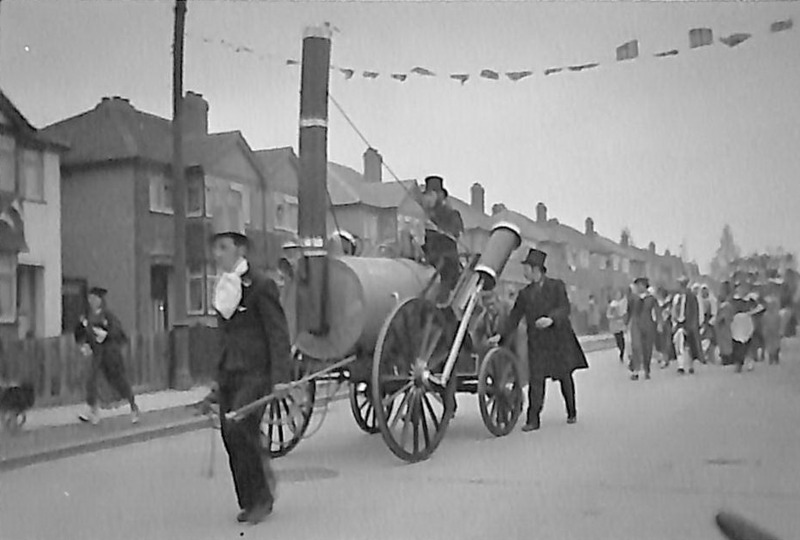 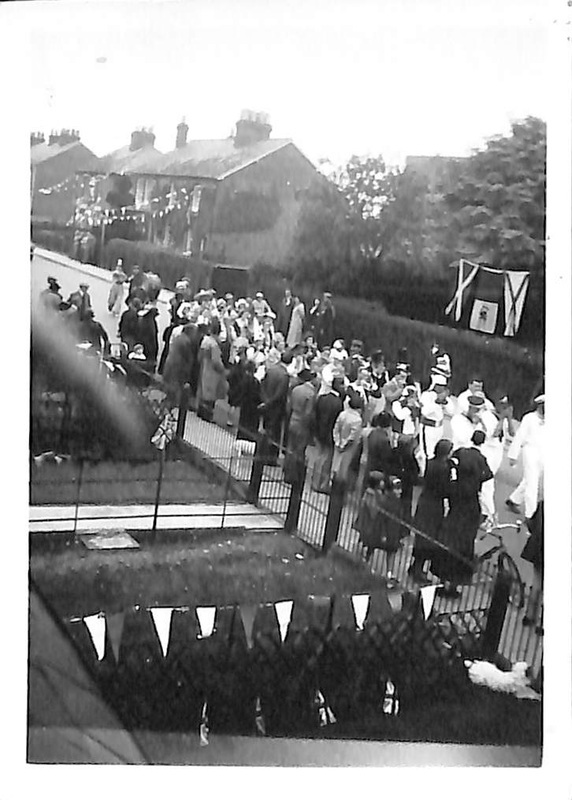 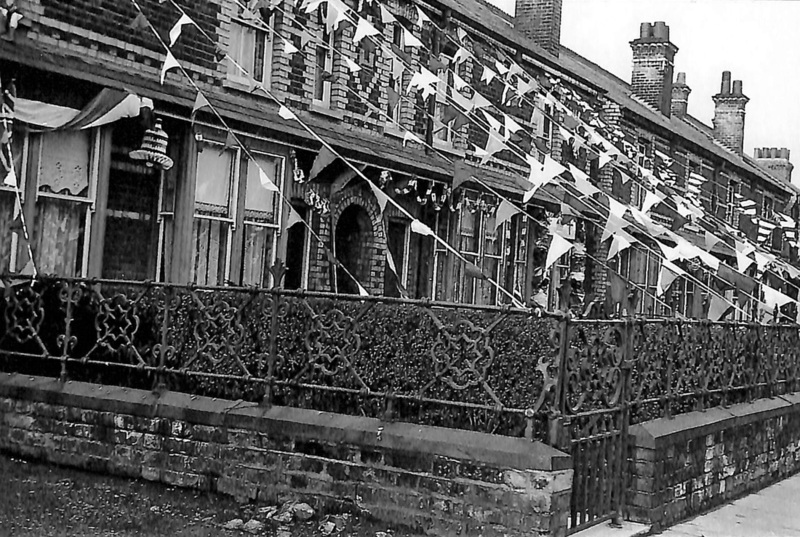 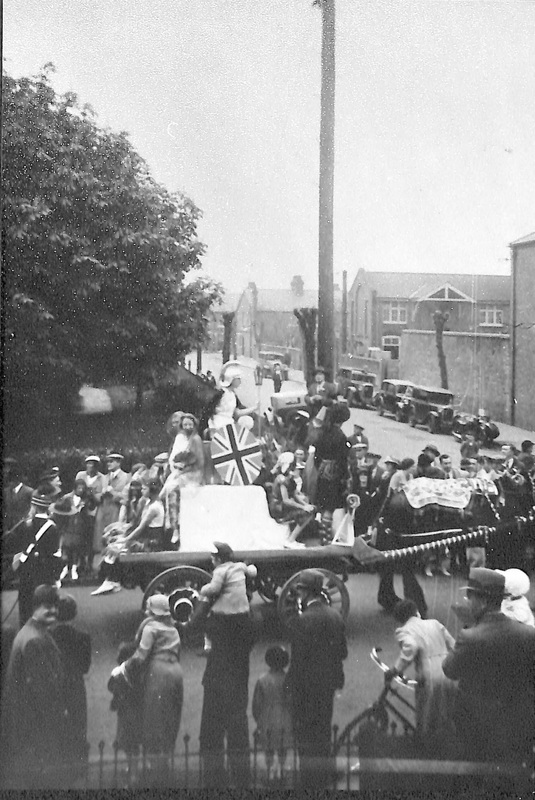 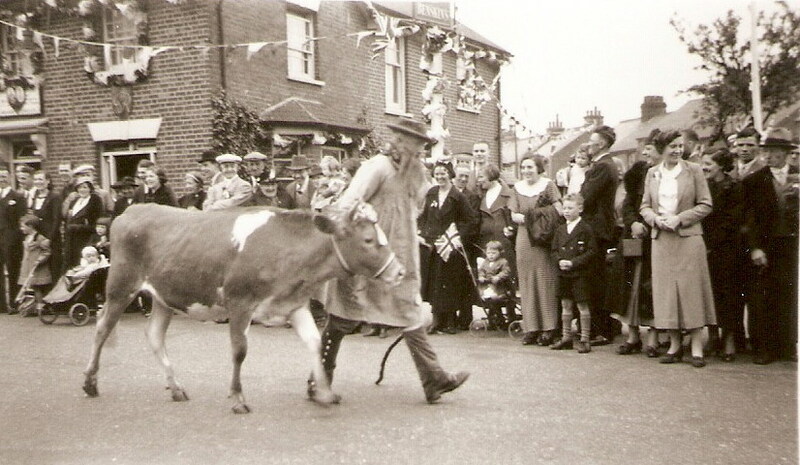 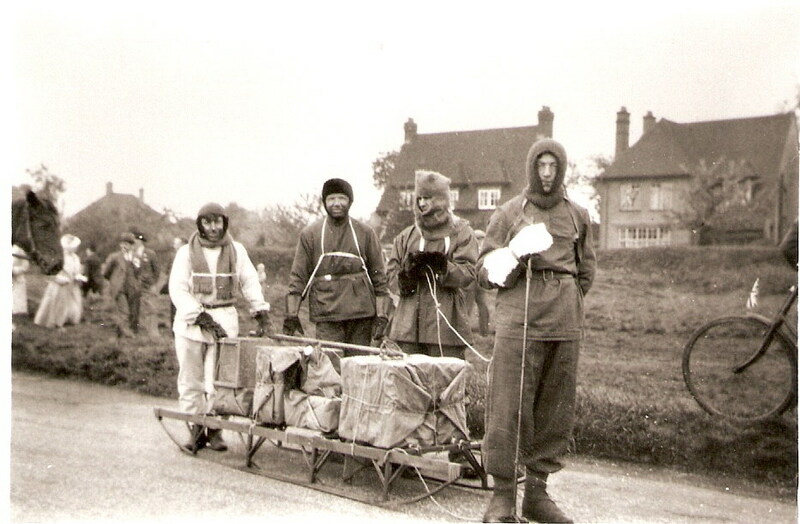 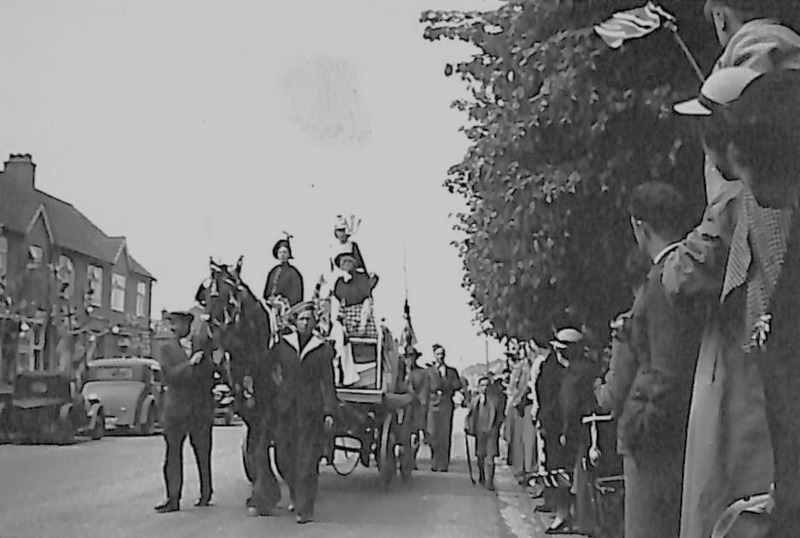 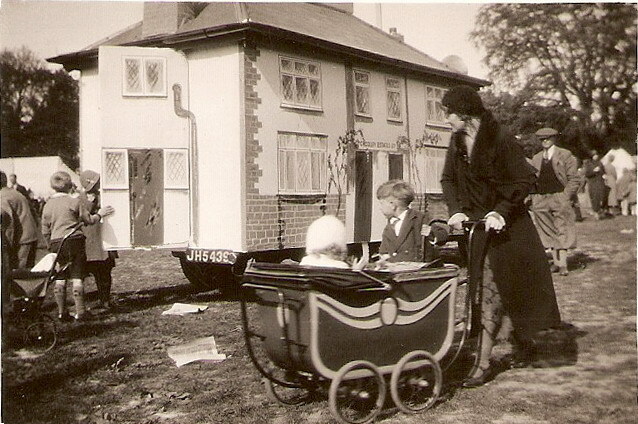 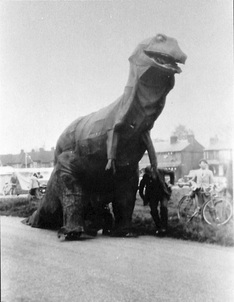 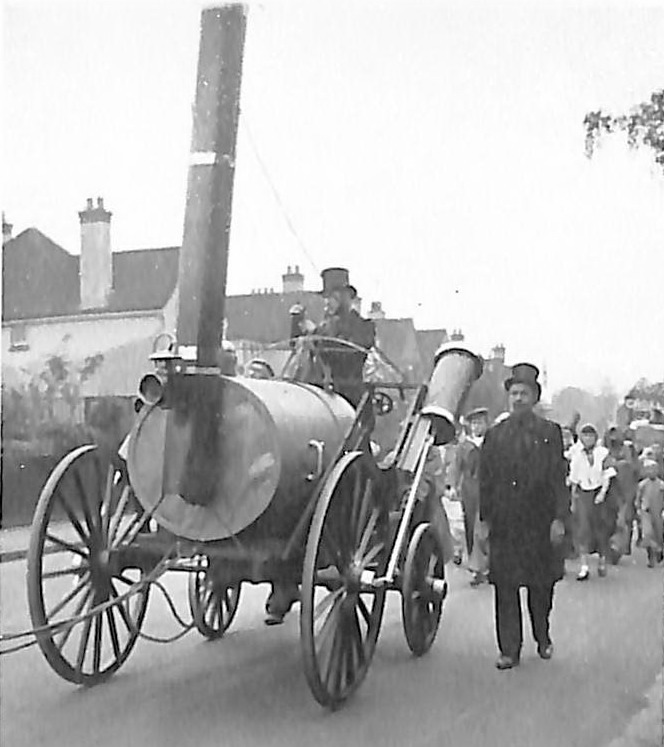 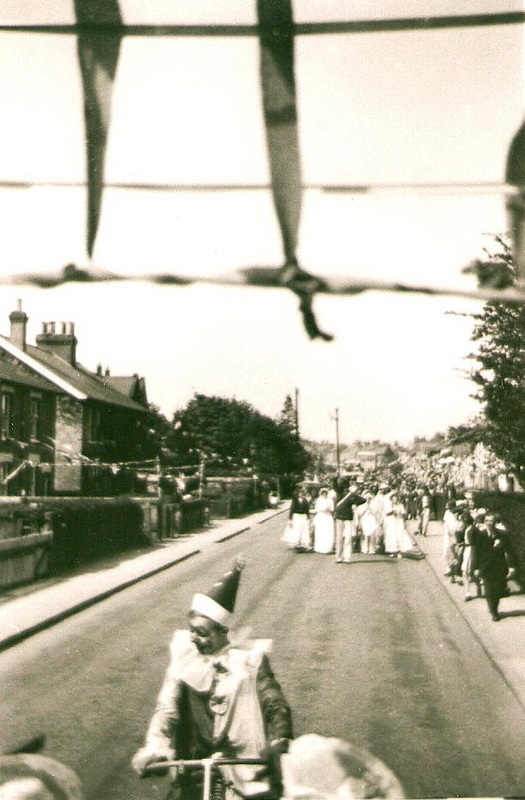 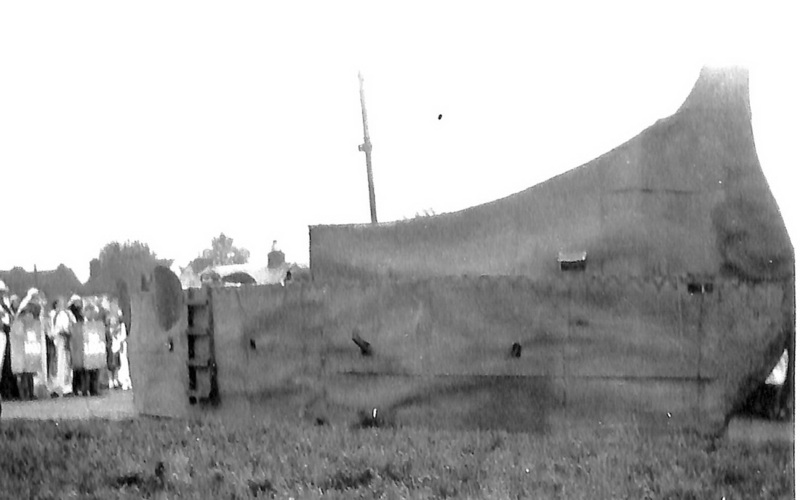 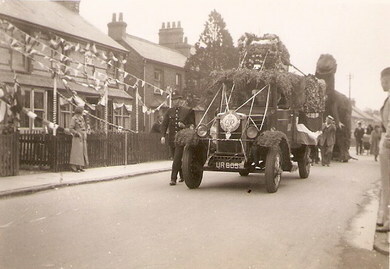 Hardly had the village recovered from the lavish Jubilee celebrations than plans were in hand for another spectacular show. 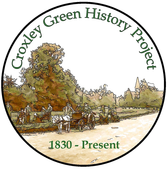 The tried and tested organising committee soon set to work to create something different. 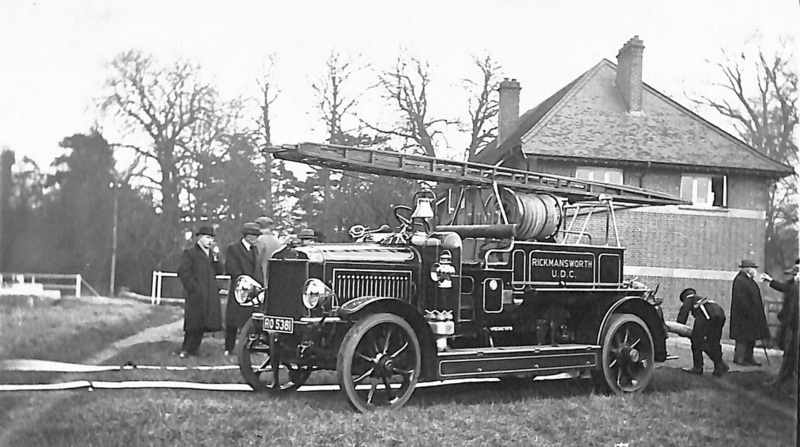 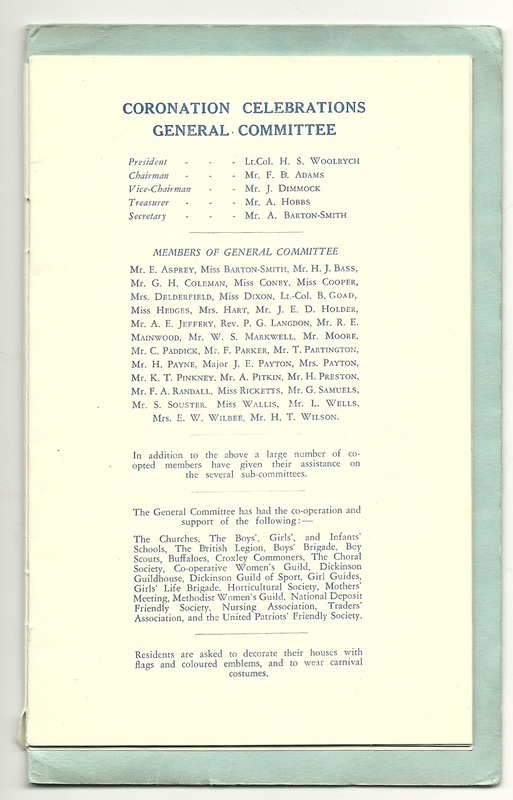 Committee Officers were: President Lt Col H S Woolrych, Chairman Mr F B Adams, Vice Chairman Mr J Dimmock, Treasurer Mr A Hobbs, Secretary Mr A Barton-Smith. 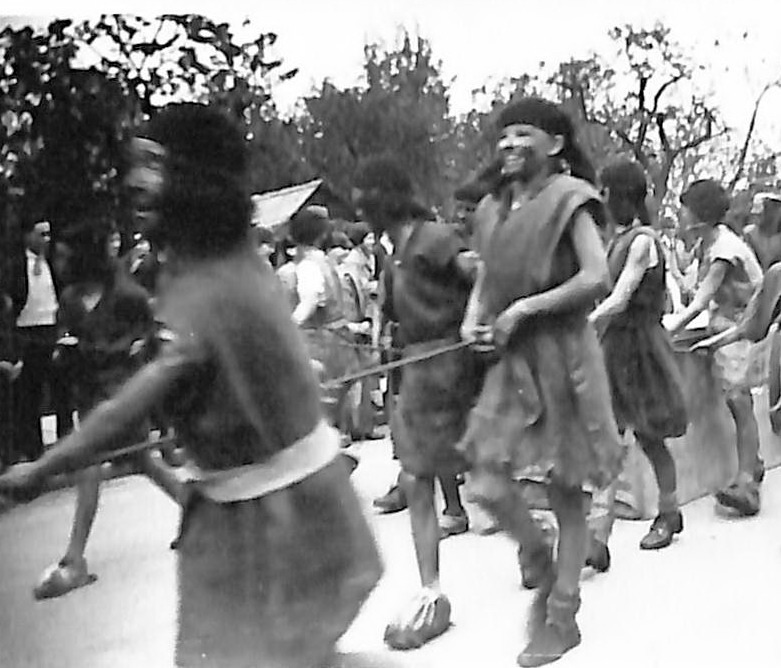 There were 34 other members. 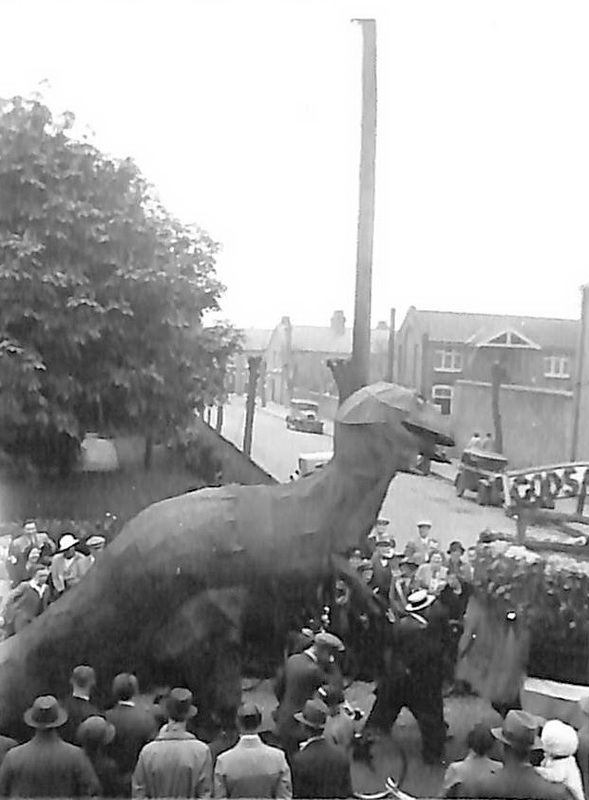 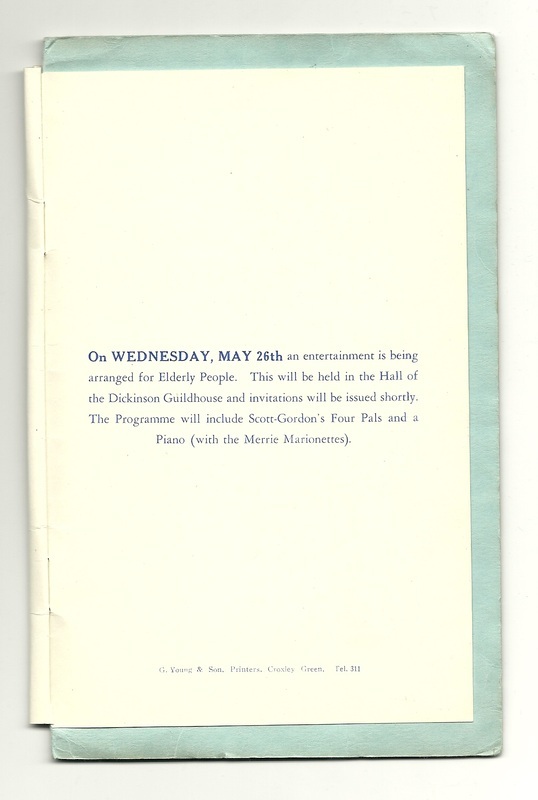 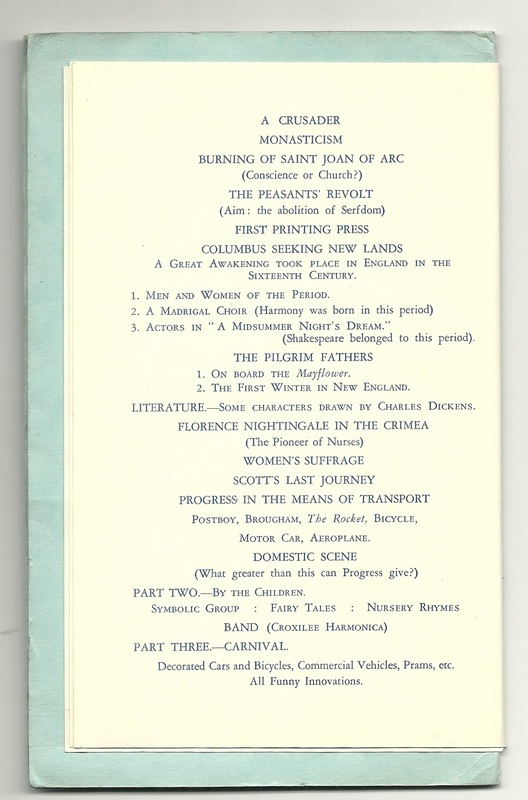 Inevitably, much of the programme was similar to that of the recent Jubilee celebrations. The procession, which was in three sections, started at 10 am from The Green. 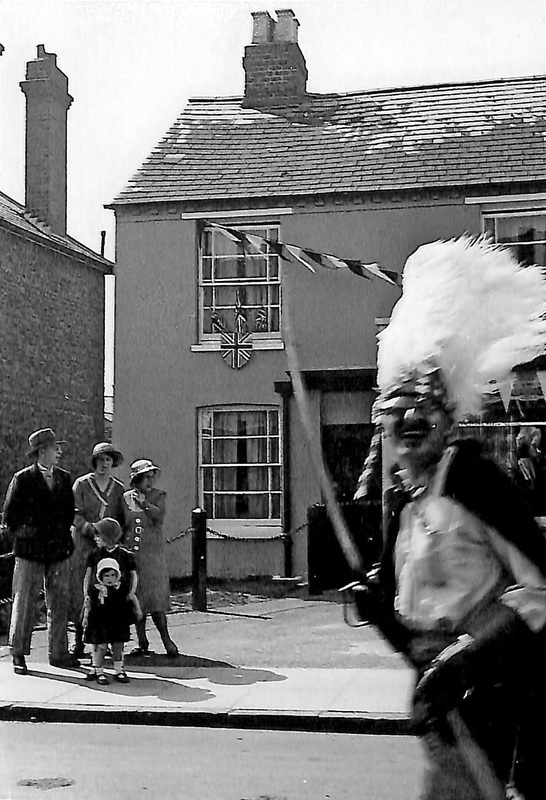 This followed a route which covered much of the newly built areas of the village. 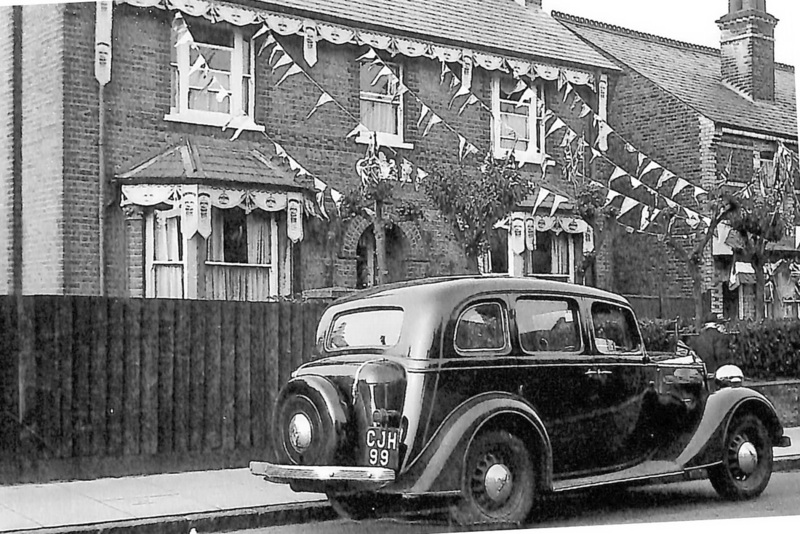 The new route included Baldwins Lane, Lancing Way, Sherbourne Way, Barton Way, New Road, Yorke Road, Watford Road to the Red House and back into New Road, Dickinson Square Dickinson Avenue, Yorke Road, Watford Road and returning to The Green. 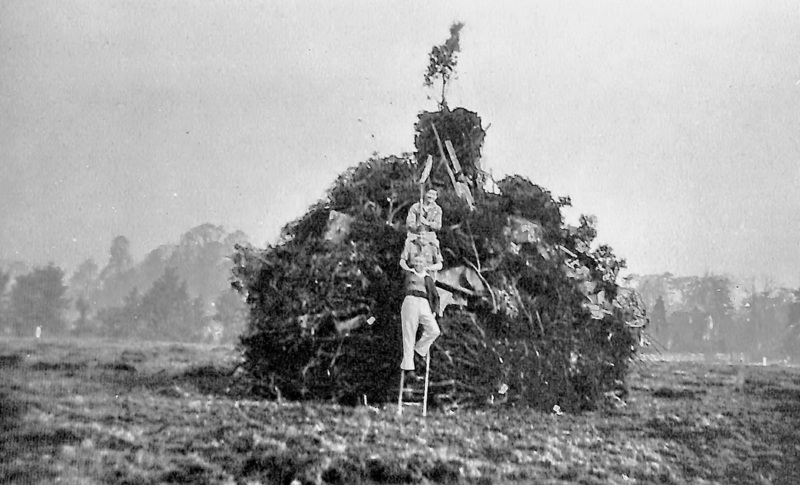 Much was done to ensure a spectacular event. It took approximately one and half hours to complete the route and the procession was watched by approximately 7,000 spectators. 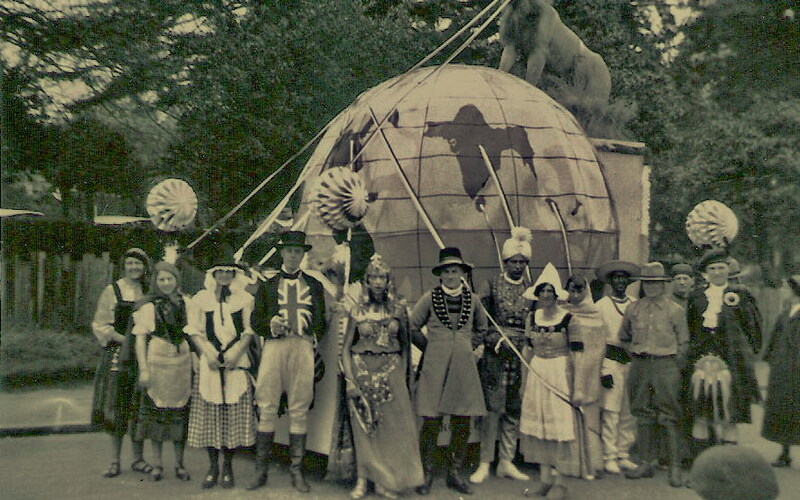 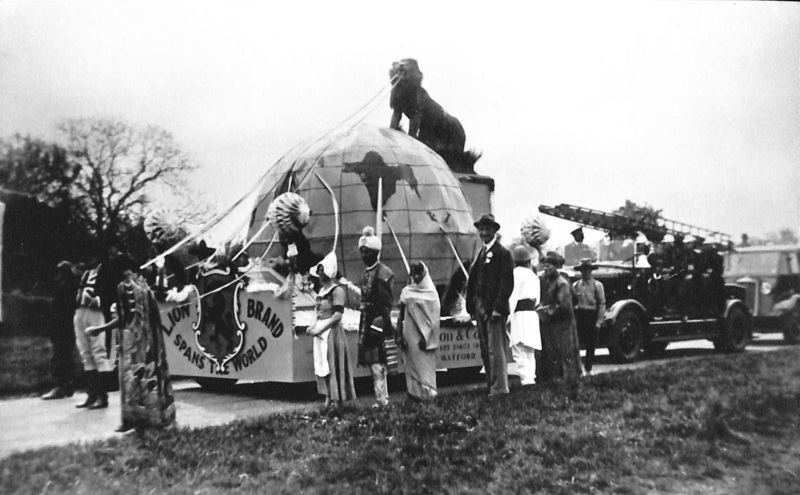 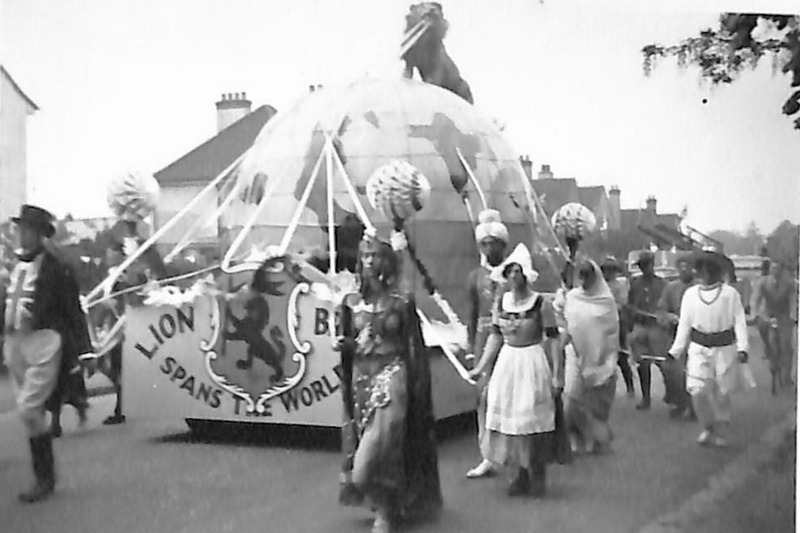 It began with an Empire Tableau, with Elizabeth Davies depicting Britannia, Mr Ronald English - Neptune, Miss Daphne Palmer - India, Miss Lola Warn - Malaya, Miss Ethel Hart - Canada, Miss Marjorie Gibbs - Australia, Miss Una Manahan - North Borneo, Miss Lorna Asprey-Scotland, Miss Betty Samuels - Wales, Miss Edna Swift - New Zealand, Miss Brenda Whittal - East Africa, Miss Hilda Harding - East Africa. 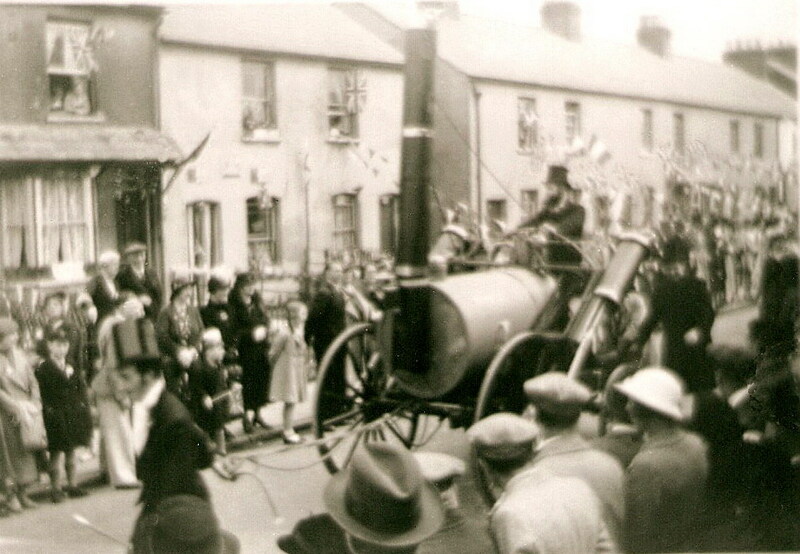 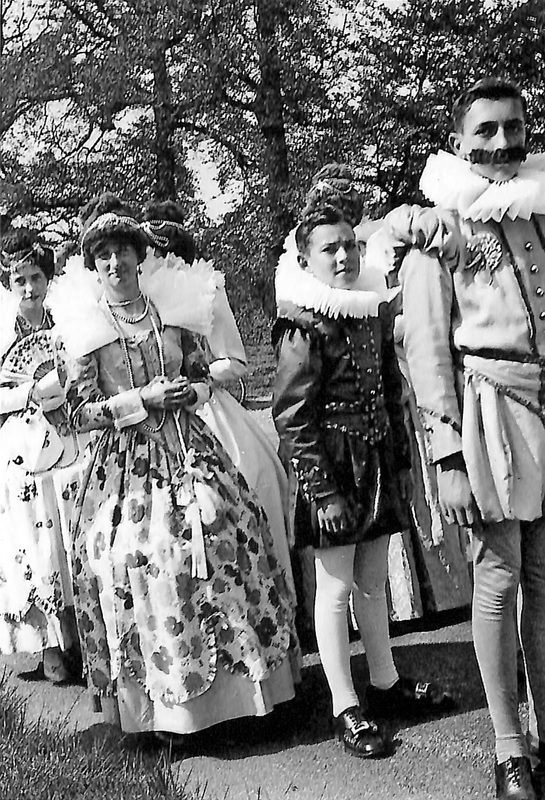 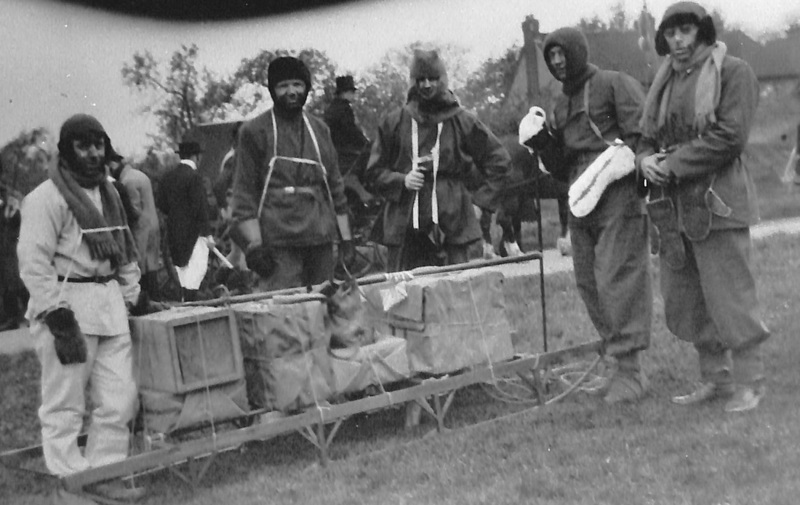 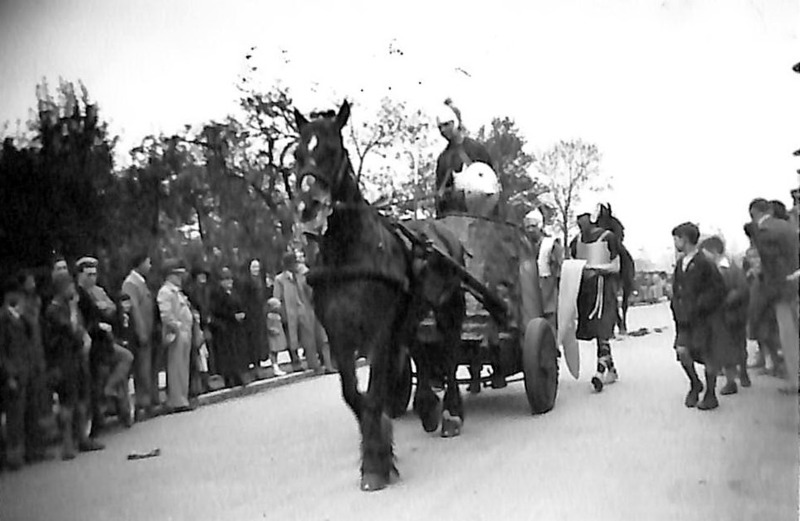 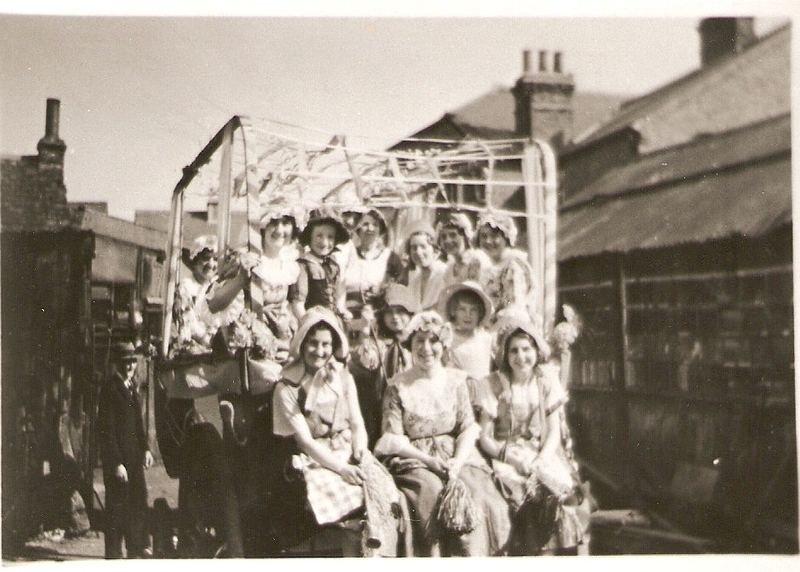 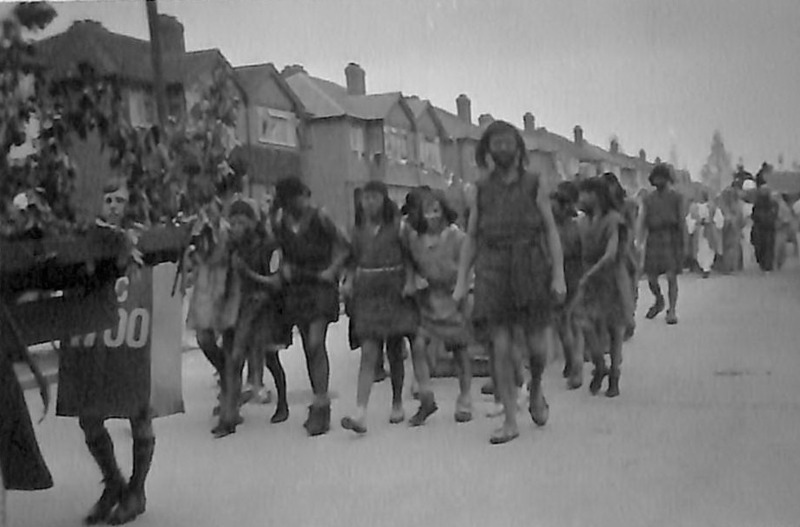 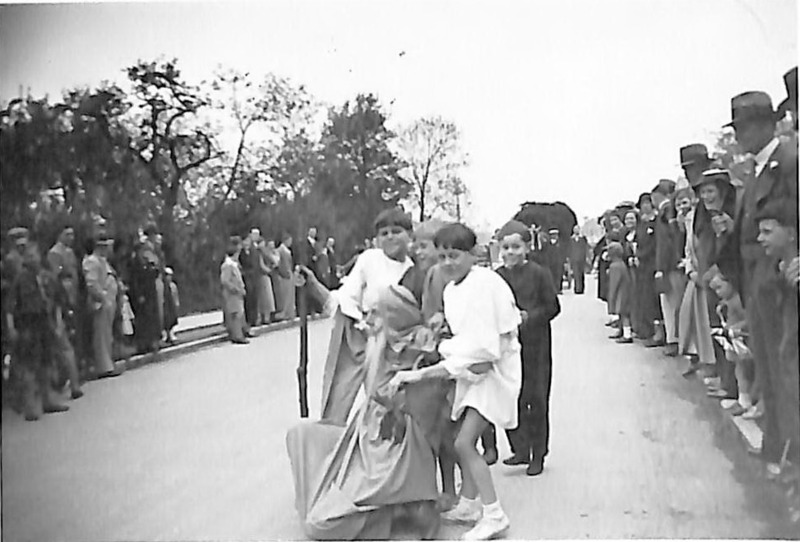 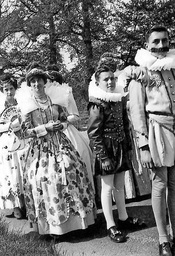 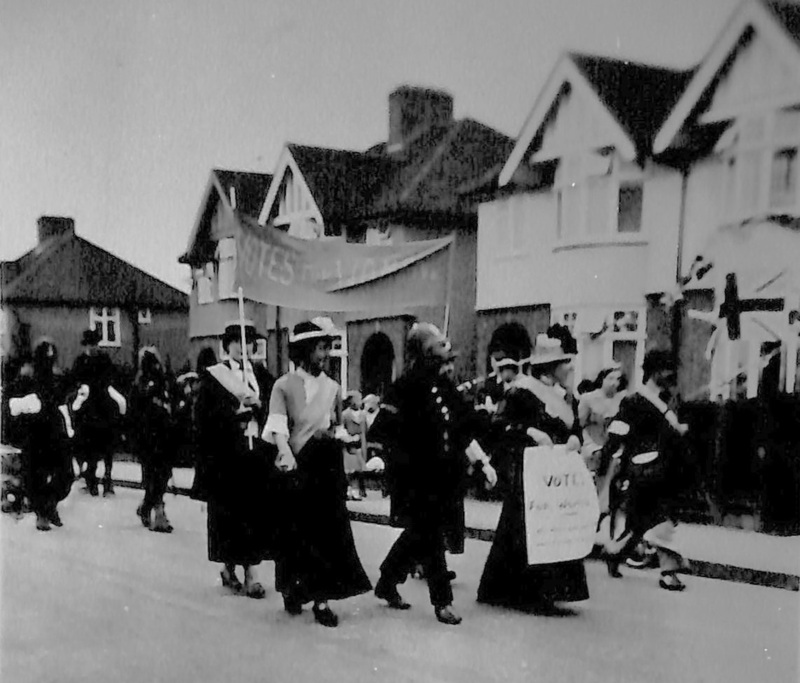 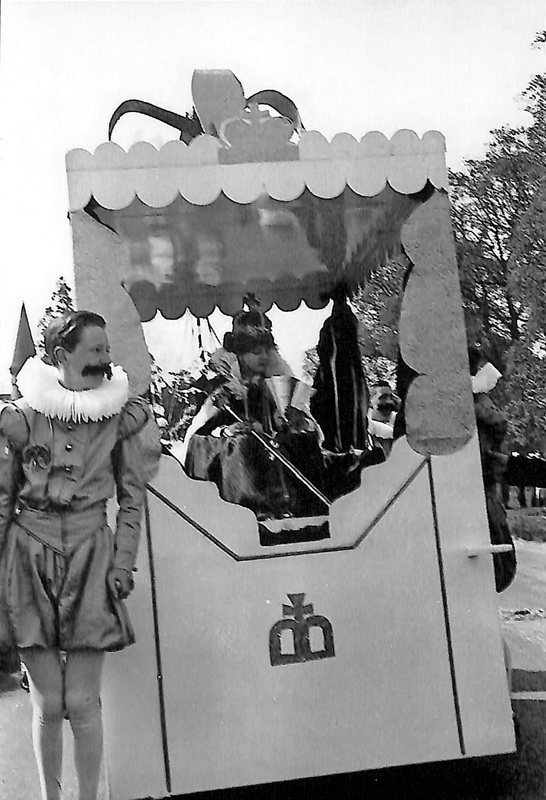 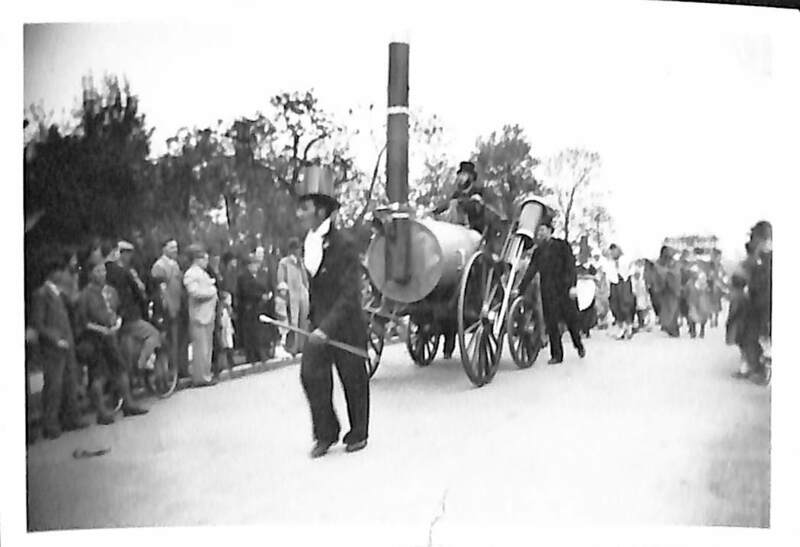 The Kodak Band led a procession of people dressed in appropriate costume depicting notable historic facts through the ages. 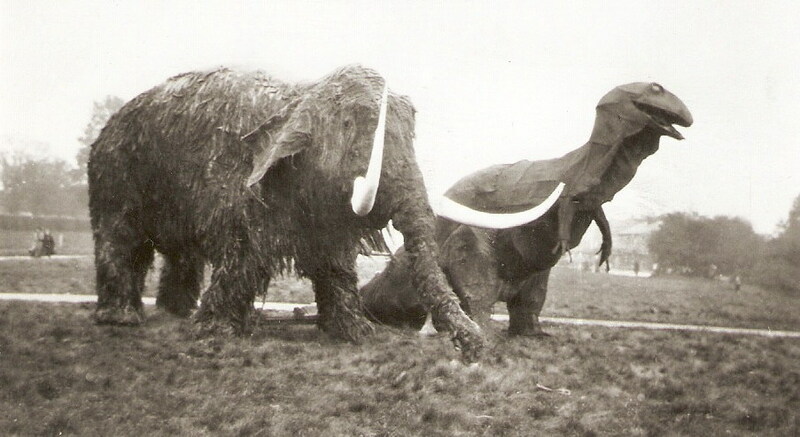 These included prehistoric animals, a stegosaurus and Mammoth followed by tree men and cave men. There were Egyptians and Phoenicians - early sea traders, then Abraham, Moses, Socrates with his pupils, a Roman soldier and chariot, The Crowning of Charlemagne by the Pope, a Crusader, Monasticism, Burning of Saint Joan of Arc, The Peasants' Revolt, The first Printing Press, Columbus seeking new lands, The Pilgrim Fathers, Florence Nightingale in the Crimea, Women’s Suffrage, Scott’s last journey, the Progress of Transport - Postboy, Brougham, The Rocket, Bicycle, Motor car, Aeroplane. 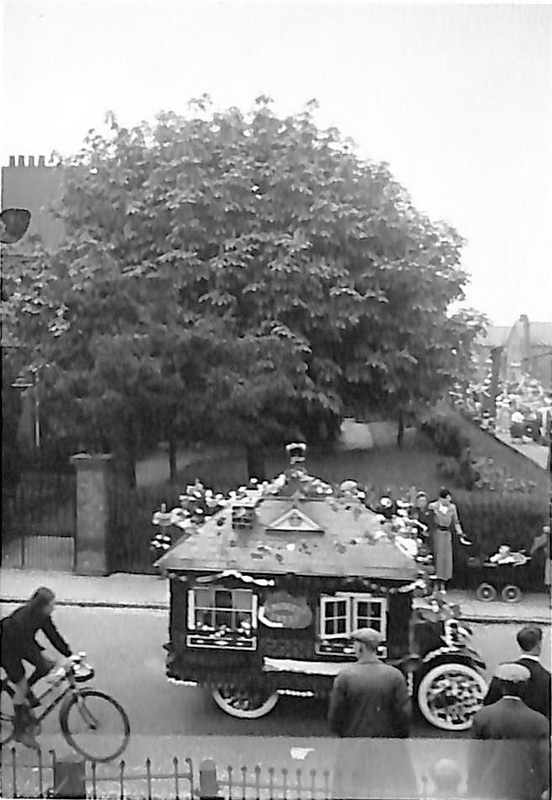 This was followed by the children - Fairy Tales and Nursery Rhymes. 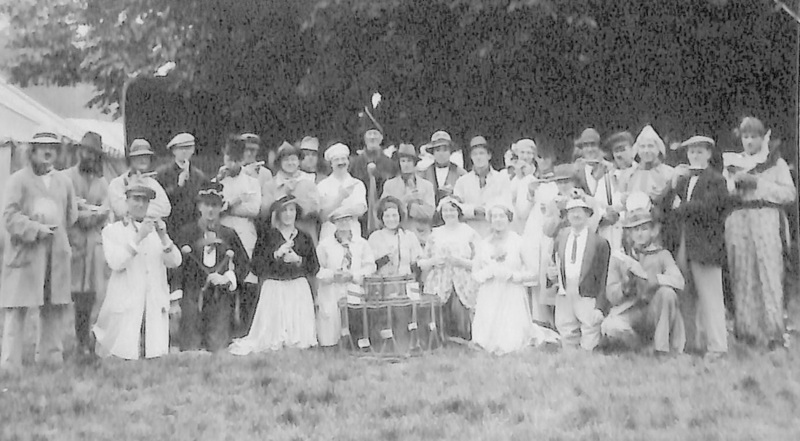 The Croxlee Harmonica band led The Carnival. 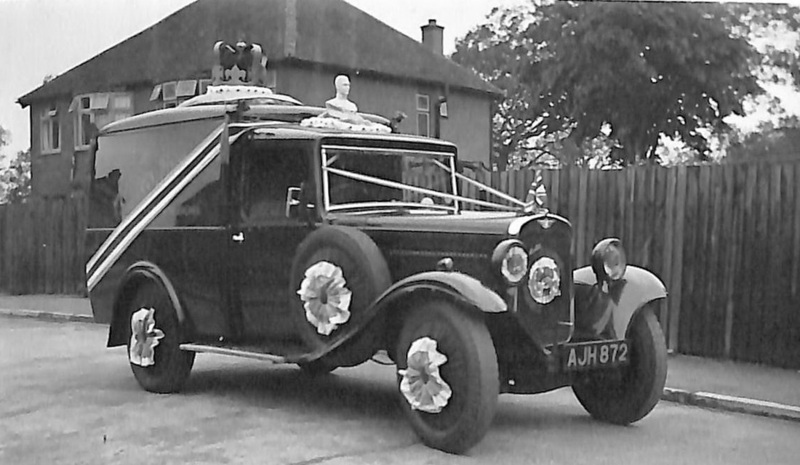 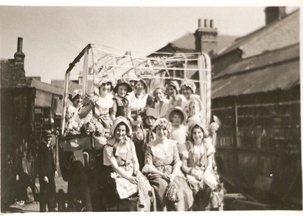 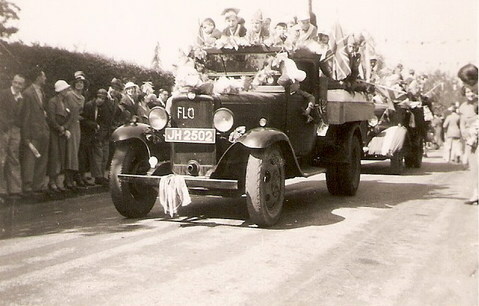 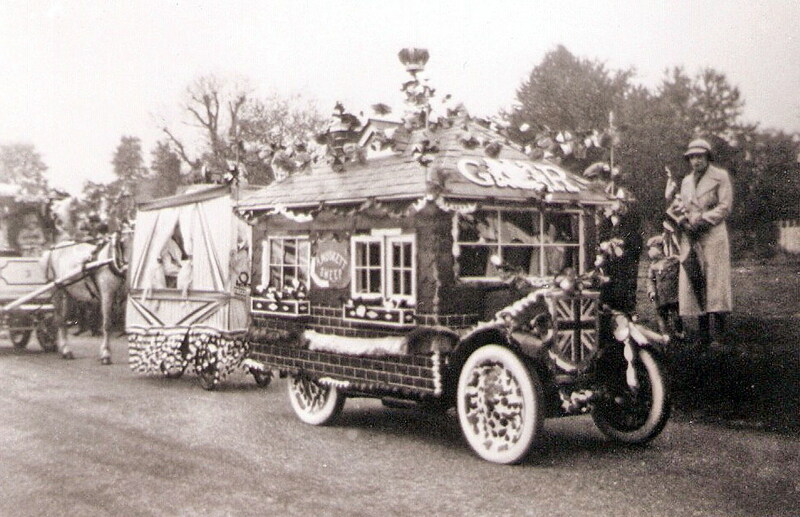 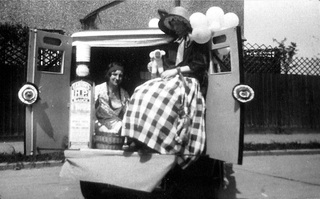 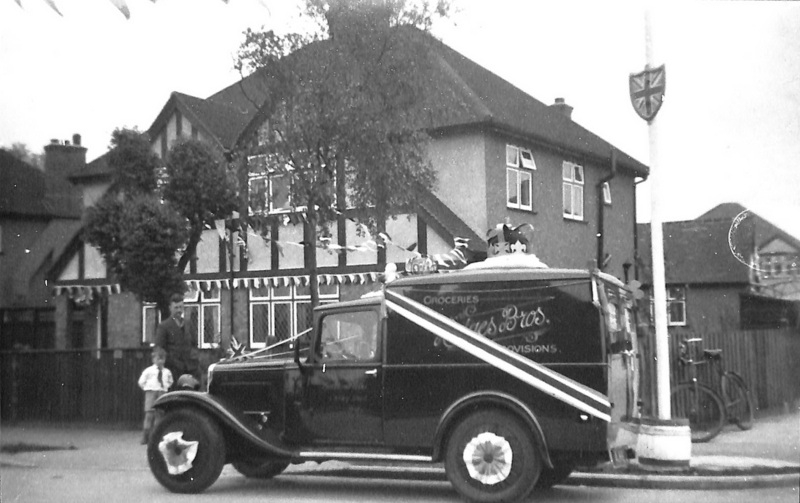 This consisted of decorated cars and bicycles, commercial vehicles, prams etc. 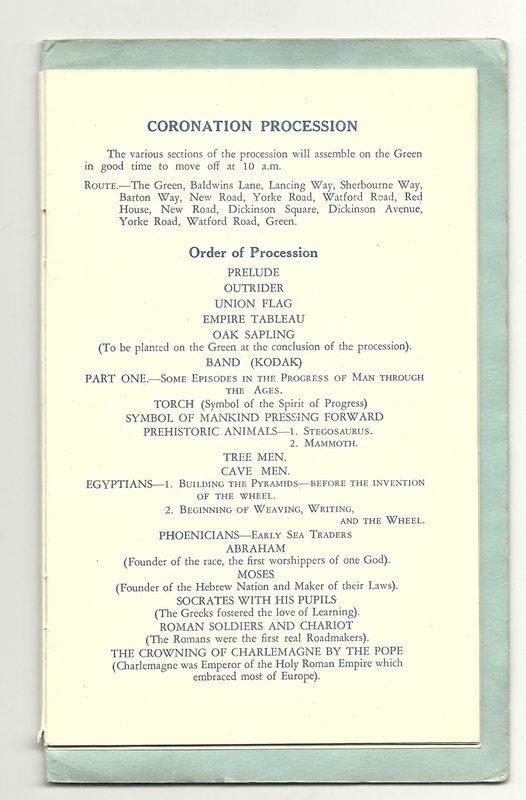 Upon the return of the procession to The Green an oak sapling was planted. 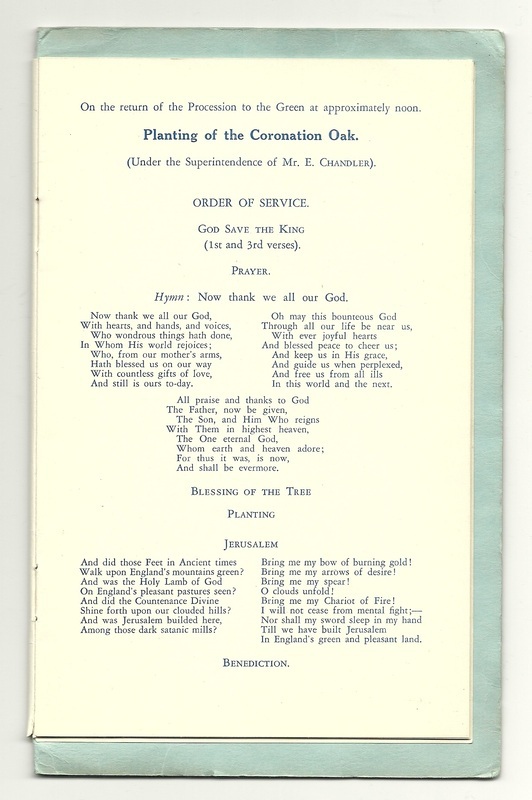 A short religious service was performed followed by ‘God save the King’, the blessing of the tree and then the hymn Jerusalem. 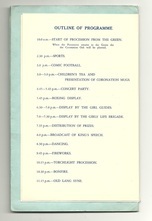 This was reportedly watched by at least 1,000 people. 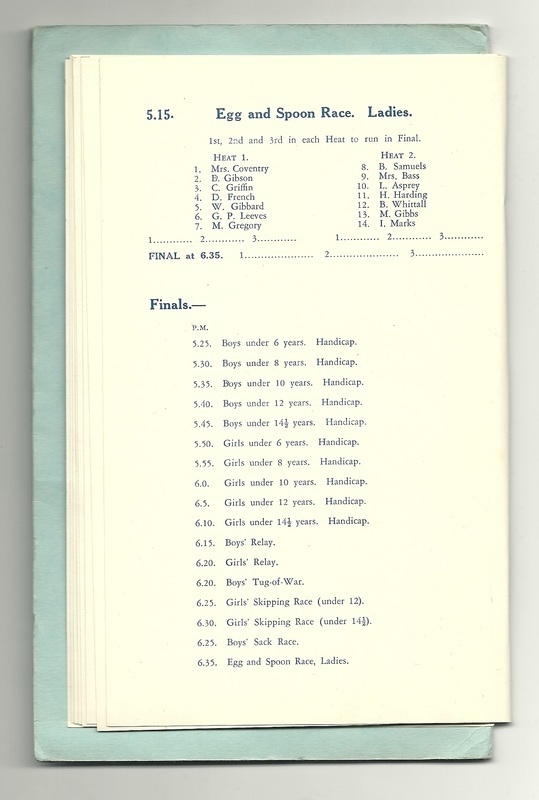 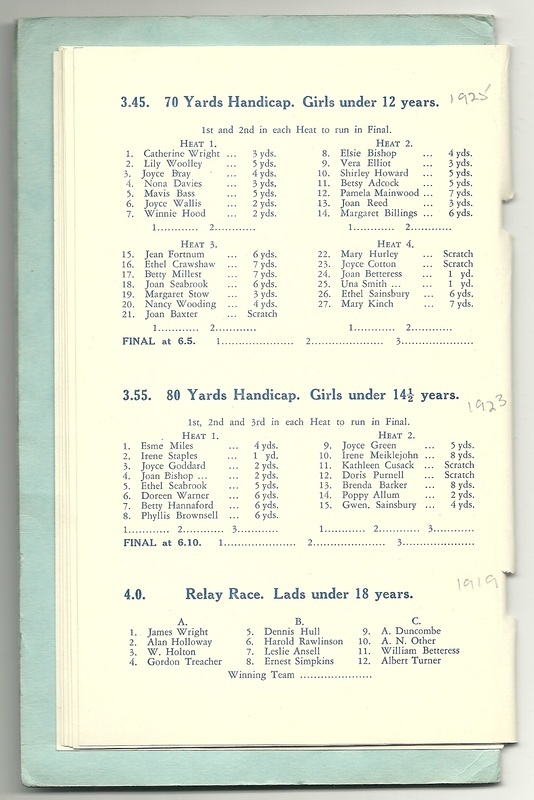 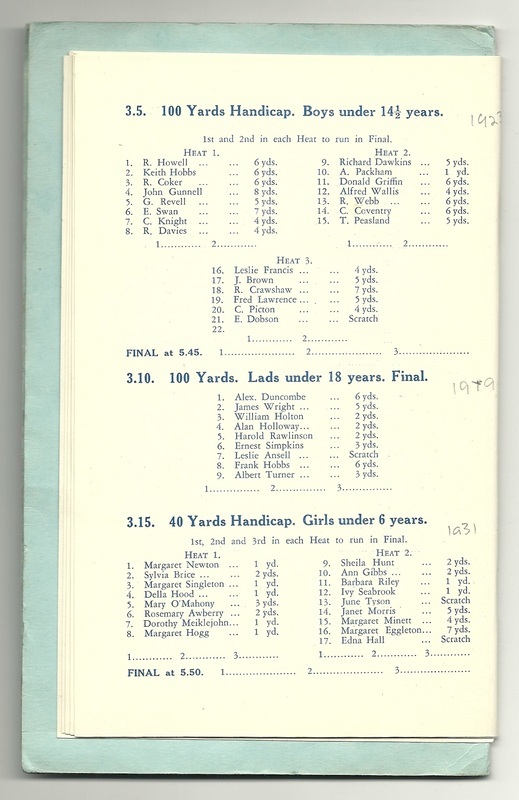 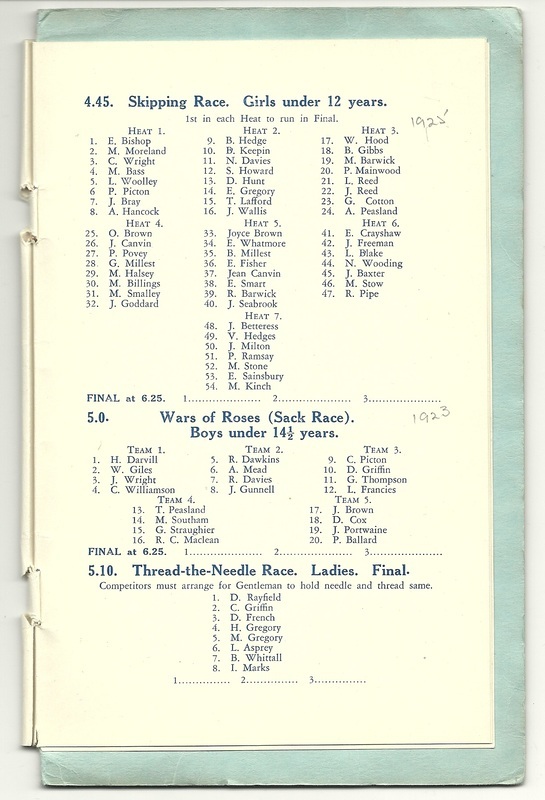 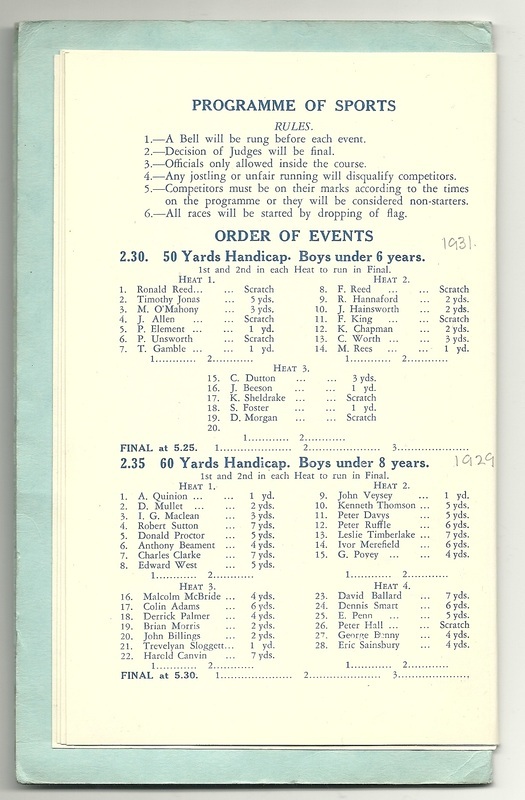 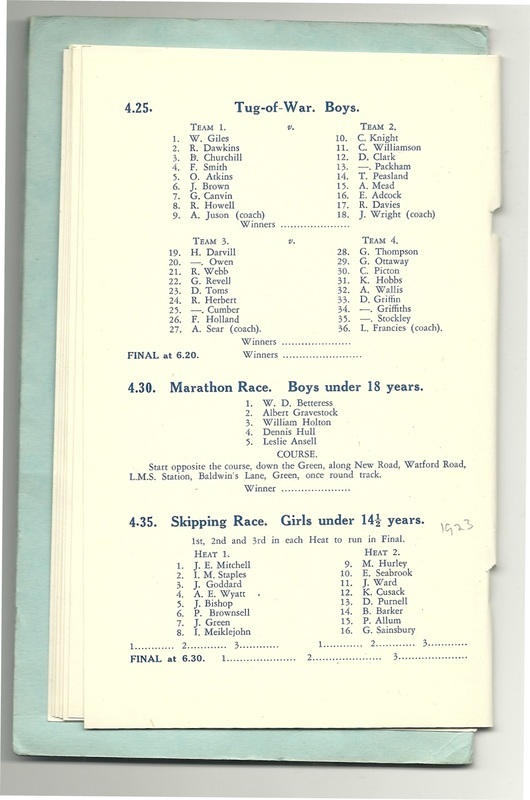 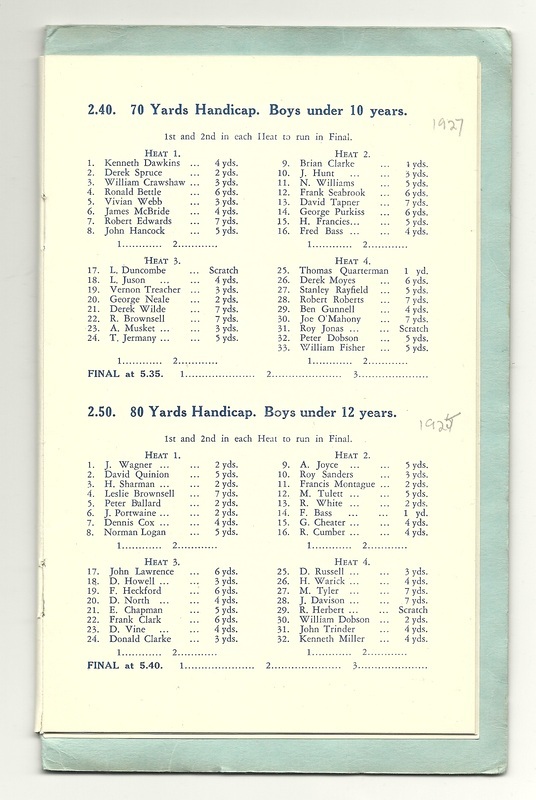 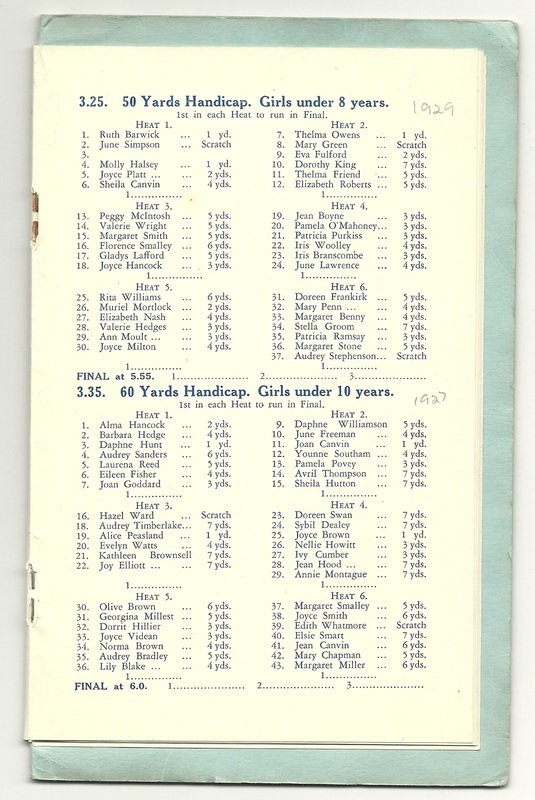 Throughout the afternoon there was a varied programme of sporting events which included a marathon race for boys under 18 years. 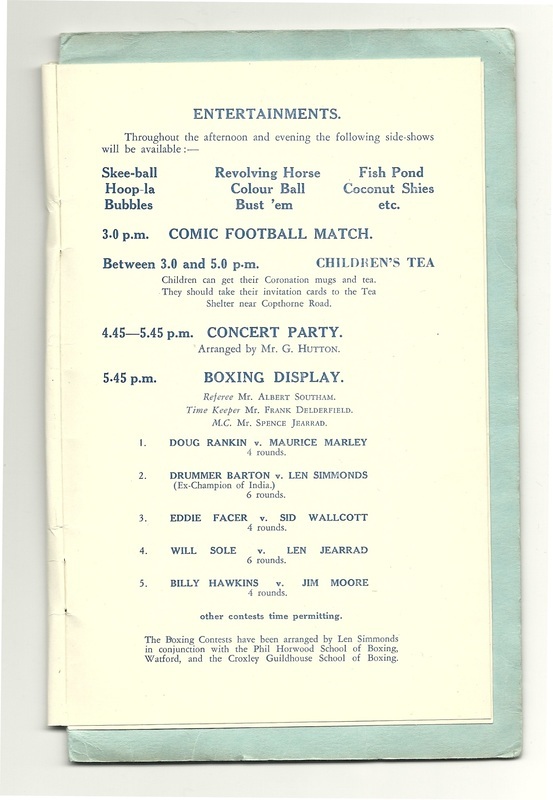 Whilst this was being organised funfair-type sideshows were on offer and included hoopla, revolving horse, coconut shies and, around mid afternoon, a comic football match was in progress as well as a concert party. 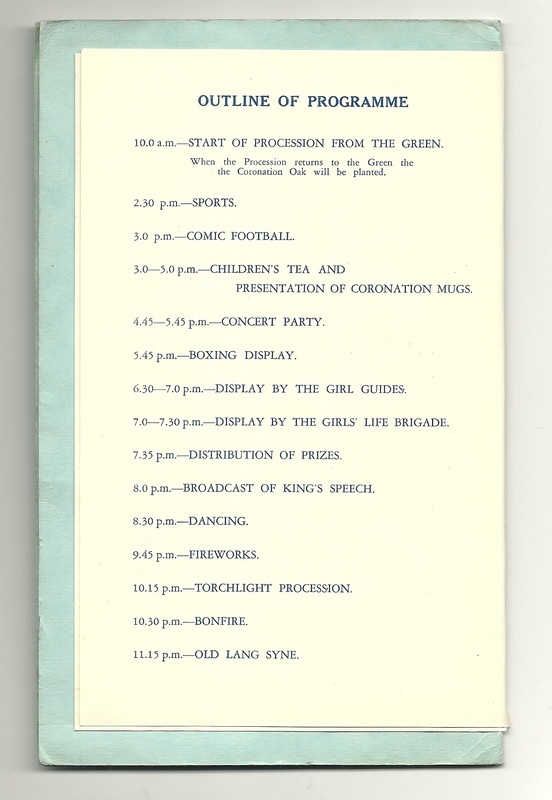 There was a special children’s tea party by invitation and then a presentation of commemorative coronation mugs. 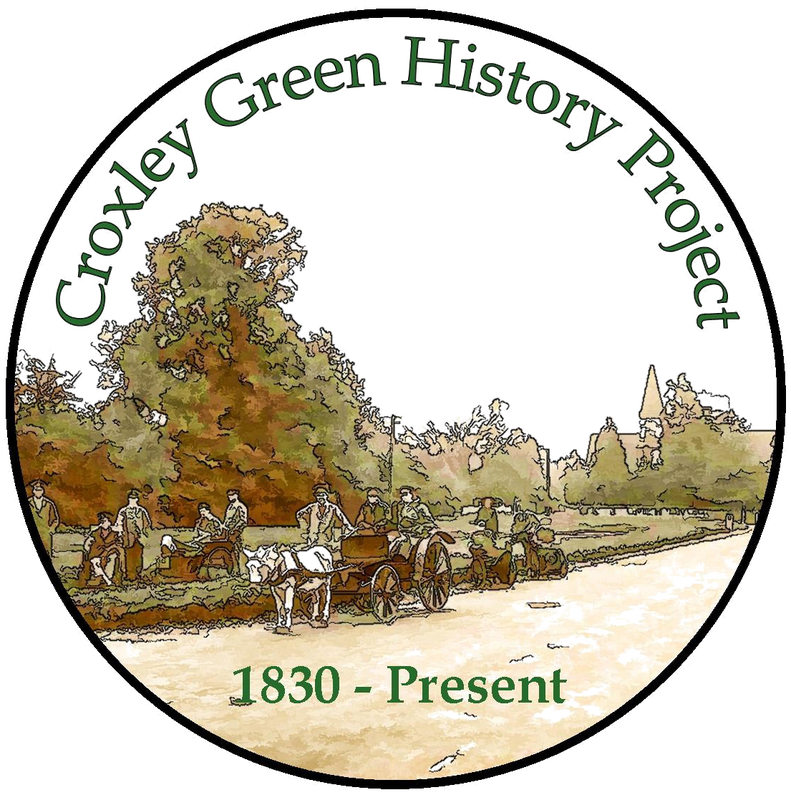 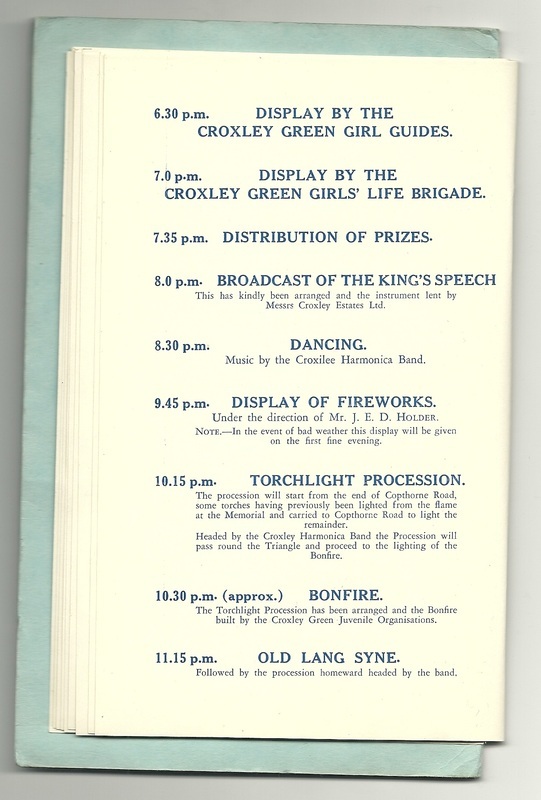 There were five separate boxing displays as well as performances by the Croxley Green Girl Guides and Croxley Green Girls’ Life Brigade. 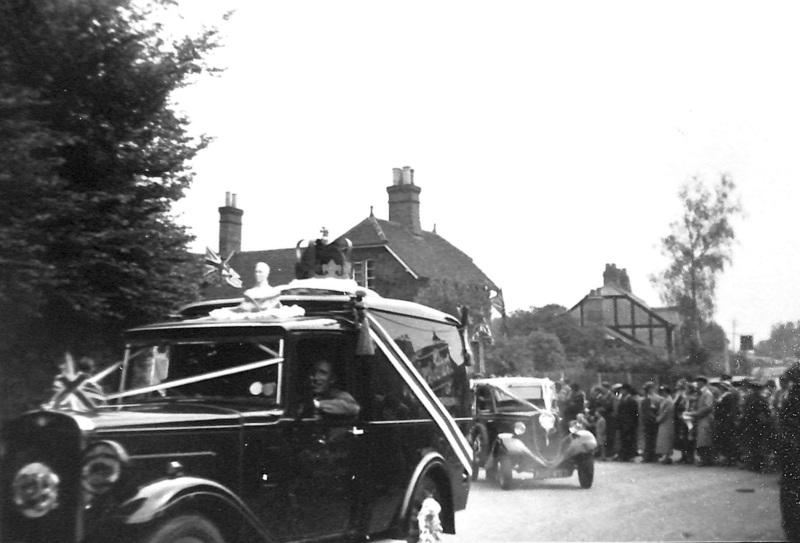 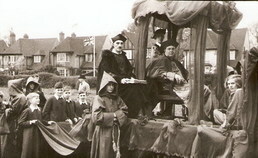 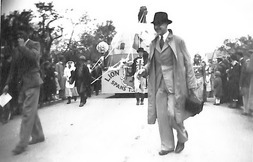 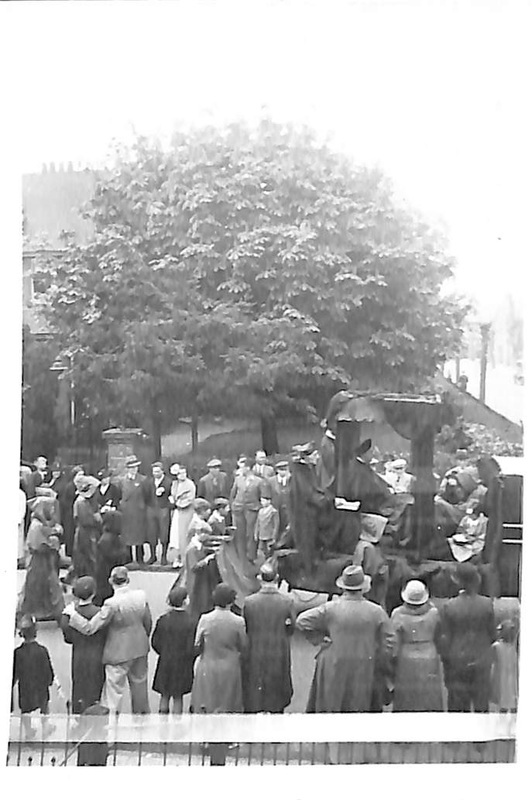 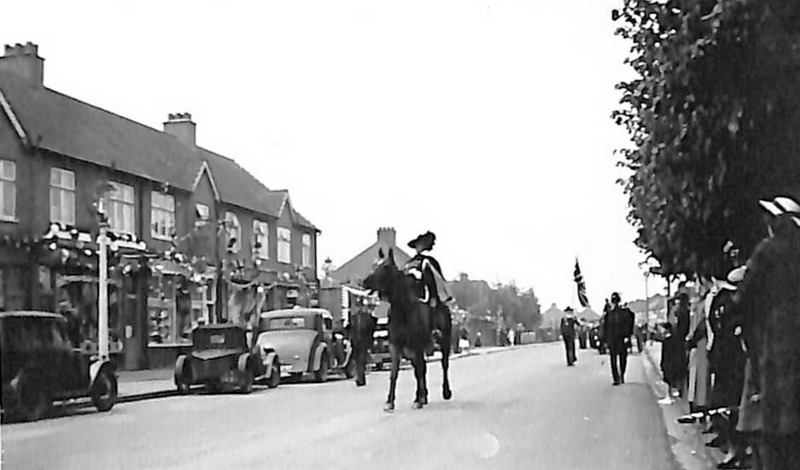 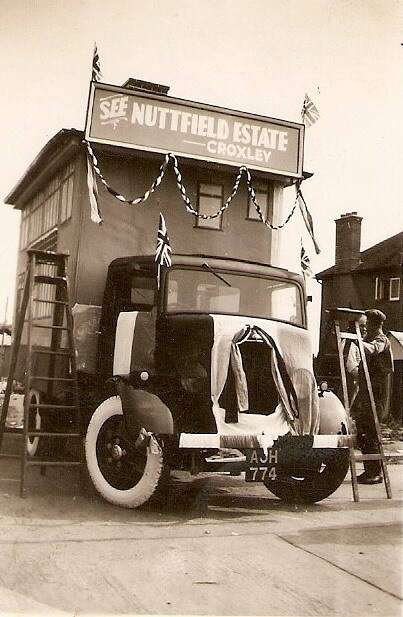 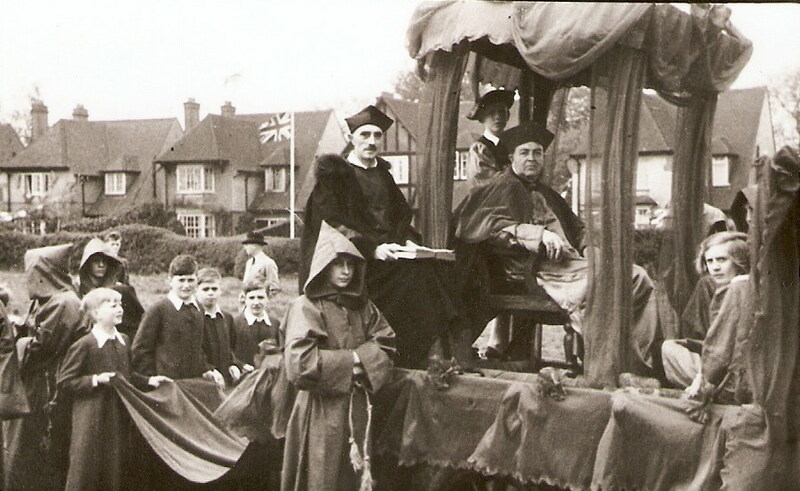 Prizes were distributed prior to a broadcast of the King’s speech on a ‘wireless’ loaned by Messrs Croxley Estates Ltd. 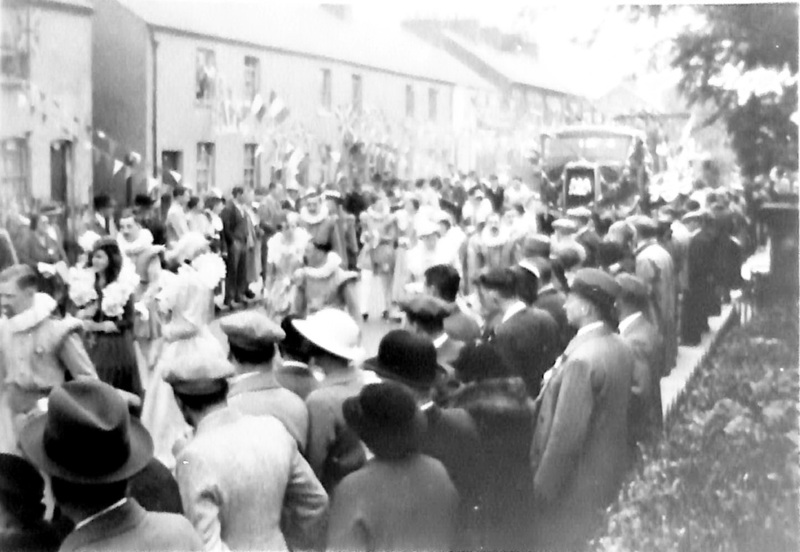 The Croxlee Harmonica Band played music for dancing. 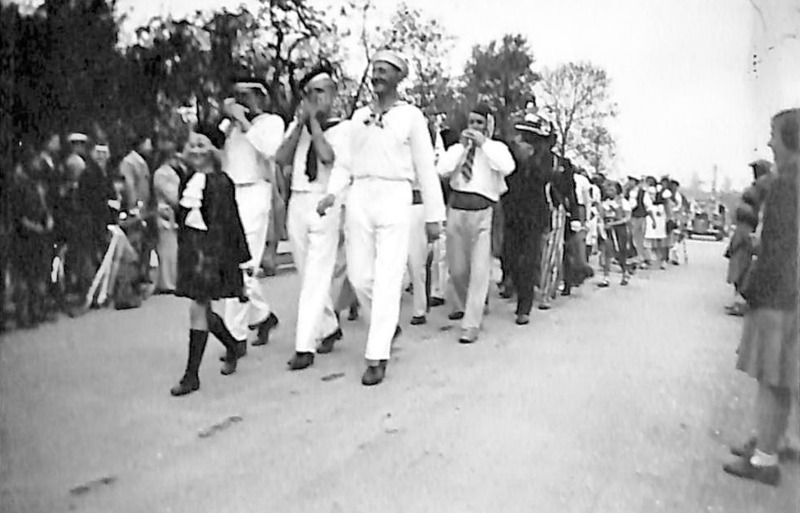 The festivities concluded with a torch lit procession, a bonfire, firework display and the singing of Auld Lang Syne before everyone headed homeward. 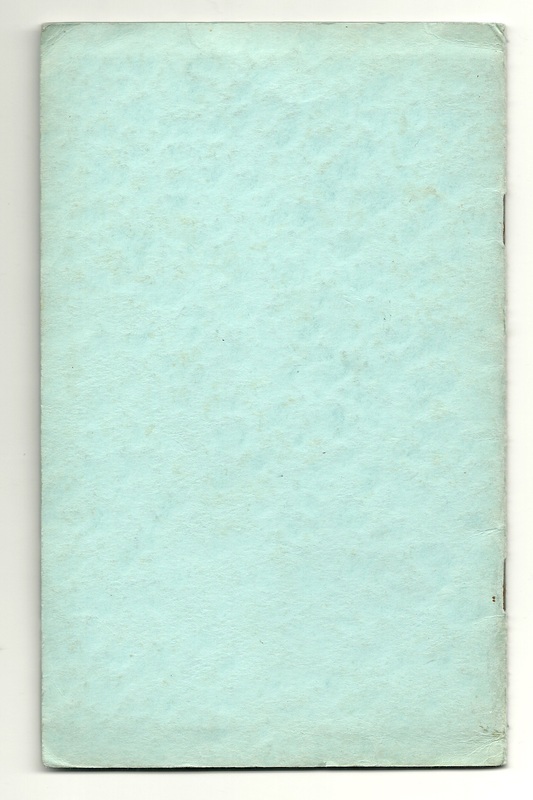 King George VI bust modelled in Sunlight soap! 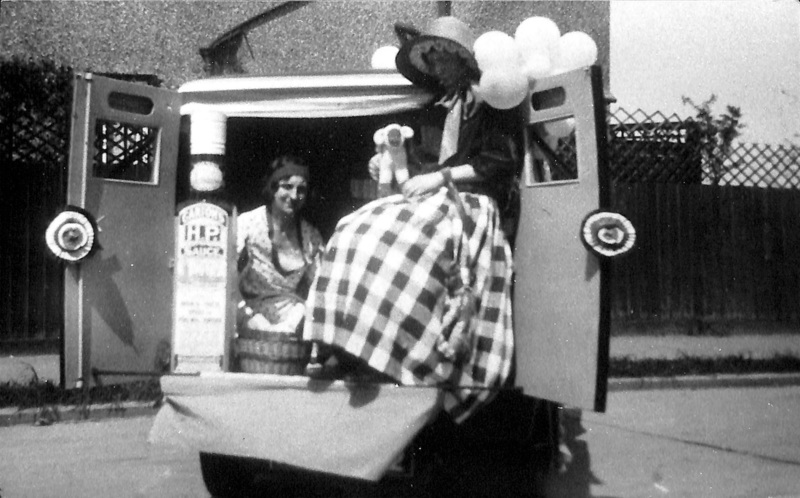 Mary with her little lamb!